The perfect companion for purple aubrieta or spring bulbs. 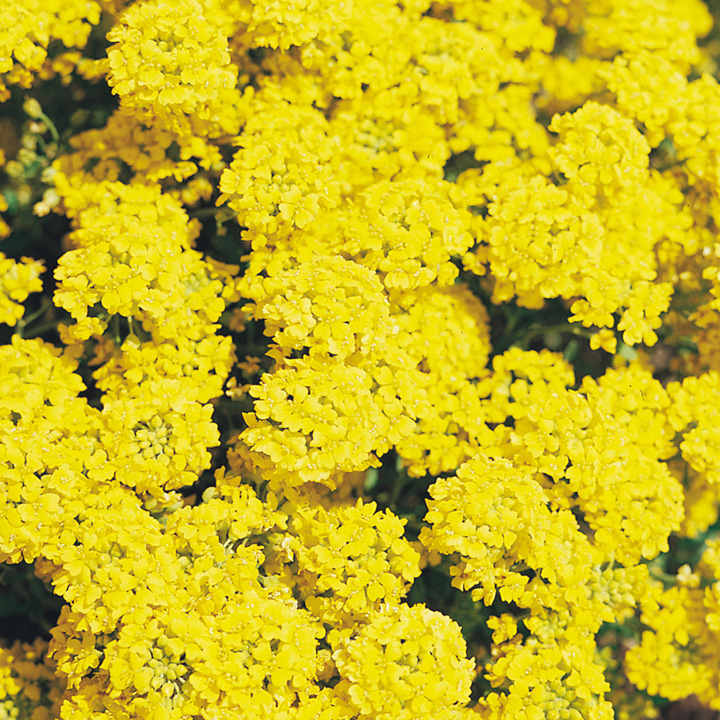 An exceptional strain of this lovely trailing item with bright golden flowers and attractive grey-green foliage. 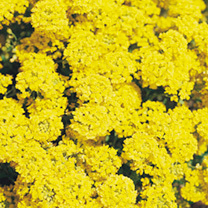 Grow on rockeries, the front of a perennial border or to tumble over garden walls. Height 7.5cm (3-4”). HP - Hardy perennial. Sow March-July, flowers April-June the following year. Ideal for beds and borders, spring rockeries. Drought tolerant. Prefers full sun.